Six (6) functional drawers. Faucet not included. 3" backsplash. 24 in. Matching Mirror Included. Arista White Carrera Marble Sinks. Pre-drilled for a single hole faucet. Plenty of counter space. Includes drain assemblies and P-traps for easy assembly. 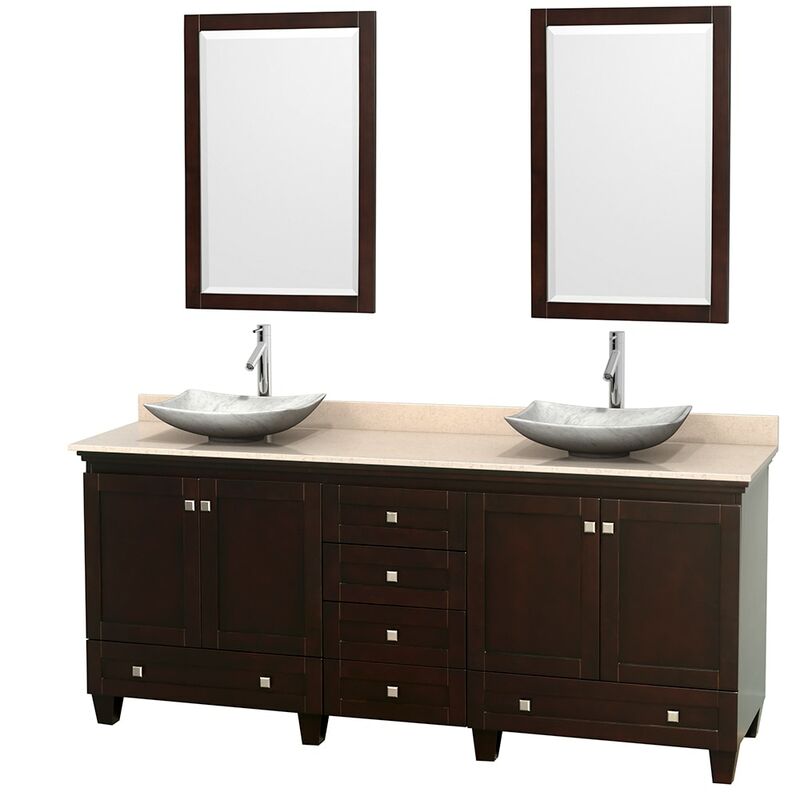 Dimensions - Vanity: 80" x 22" x 34"; Mirror: 24" x 0.875" x 36"